Pick up from Colombo Airport, you will get your first taste of warm Sri Lankan hospitality; Our Representative will Welcome you and transfer to Negambo. Check in to the hotel. Overnight stay in, Negambo. Breakfast at the hotel, Proceed to Polonnaruwa. (70 Km – 2 Hours). Polonnaruwa is the main town of Polonnaruwa District in the North Central Province of Sri Lanka. It is the second largest city in this province and famous for its clean and beautiful environment, amazing ancient constructions and most importantly the huge lake ‘Parakrama Samudra’ built in 1200 The city has many untouched ancient archeological relic sites and remains one of the best planned archaeological relic sites in the country. UNESCO has declared this ancient city as one of the World Heritage sites. Proceed ro Minneriya – (45 Km -1 Hour) Leave to Minneriya National park for evening Safari by Jeep. The Minneriya Park is a national park in the North Central Province of Sri Lanka. 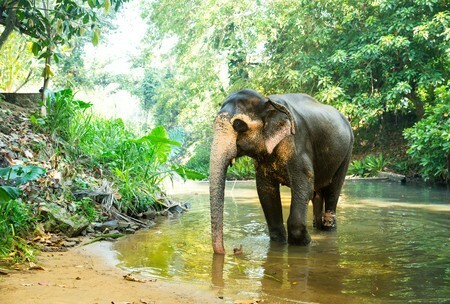 The park is a dry season feeding ground for the elephant population. 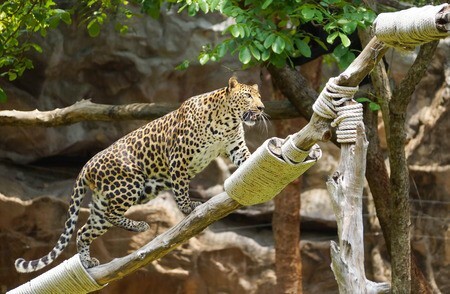 Sri Lankan Leopard and Sloth bear which are rare and endangered species also inhabit this area. 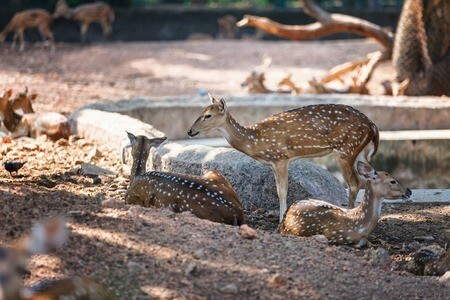 The park was declared as a wild life sanctuary in order to protect the watershed of Minneriya tank and the wildlife of the surrounding area. 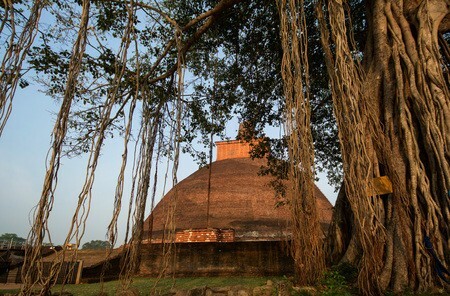 The tank is historically important for the country as it was built by King Mahasen in the 3rd century AD. Back to the hotel (20 Km – 30 Mins) Overnight stay at Sigiriya. Breakfast at the hotel. Proceed to Dambulla – (10 Km , 20 Mins). Dambulla is a popular tourist destination in Sri Lanka, which is belongs to north central province. The popular cave temple complex in Dambulla dated to the 2nd century BC is declared as a world heritage site by UNESCO. There are over 80 caves in Dambulla, some of which are used for meditation by monks. The Famous Rock temple has five separate caves containing 153 magnificent Buddha statues, 3 statues of Sri Lankan monarchs and 4 Hindu deities. The Iron wood Forest (Namal Uyana) the ancient garden with a wide variety of plants built in the 10th century and Rose Quarts Mountain range which is 500 million years old cannot be missed while in Dambulla. Visit Dambulla Cave Temple. Proceed to Matale. – (70 Km – 2 Hours). You will see many spice gardens at Matale and in Mawanella on the Colombo-Kandy road where Cinnamon, Cardamom, Pepper Creepers and all other spice trees, plants and creepers are planted for visitors to see them. Spice products are also available for those who would like to buy them. At all Spice Gardens visitors are taken round explaining each tree and plant and at the end explaining the use of them in food preparations. Proceed to Kandy (30 Km – 1 Hour). 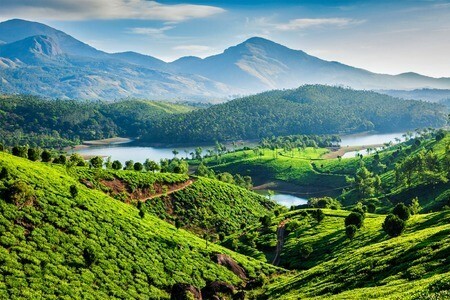 Kandy the popular charming hill capital of Sri Lanka is surrounded by hills, valleys, rivers, lakes and waterfalls. It is the cultural center of the island and a UNESCO heritage city. The sacred tooth relic of Lord Buddha is enshrined at the Dalada Maligawa, the temple of the tooth. While in Kandy, a visit to the Royal Botanical Gardens is a must where you can see around 4000 species of plants. The arts and crafts center in Kandy, the main Buddhist monasteries Malwatta and Asgiriya Monasteries are places that must be visited. Kandy is a great place for souvenir shopping and to learn about its rich culture and history. In the evening, do a city tour with shopping of Kandy. View a cultural dance. Visitors can see these Dance & Music at the daily Cultural Performances held at several places in the city. Visit Temple of the Sacred Tooth Relic. Ever since 4th Century A.D, when the Buddha’s Tooth was brought to Sri Lanka hidden from sacrilegious hands in an Orissan princess’ hair, the Relic has grown in repute and holiness in Sri Lanka and throughout the Buddhist world. It is considered Sri Lanka’s most prized possession. Back to the Hotel. Overnight stay at Kandy. Breakfast at the hotel. Visit Peradeniya Botanical Garden in the morning. Peradeniya Botanical Garden is situated in the Central Province of Sri Lanka and visited approximately 02 million people annually. The unusual name is Sinhalese translation of guava plain. The garden is notable for its collection of a variety of Orchids. 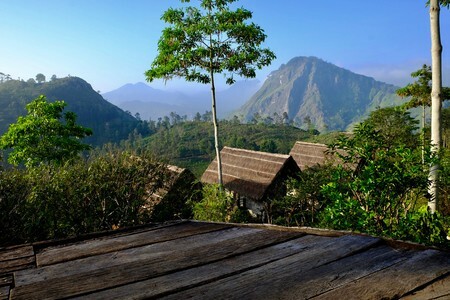 It is home to various species of plants, spices, medicinal plants and palm trees. It is also one of the largest botanical gardens of Sri Lanka, An artificial lake with water plants including giant water lily and papyrus seeds is found in the centre of the garden. Proceed to Nuwara Eliya and en-route Visit Ramboda Falls & Blue Field Tea Factory. 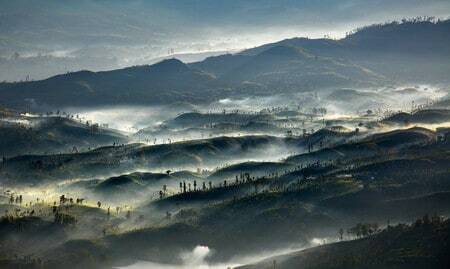 Nuwara Eliya is a city in the hill country of the Central Province, Sri Lanka. 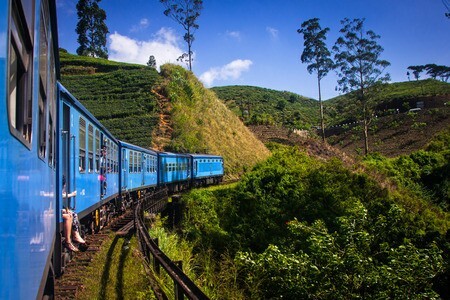 The city is considered to be one of the most important locations for tea cultivation and well known for its cool climate being the coolest area in Sri Lanka. Many of the buildings have still preserved features from the colonial period. Many private homes have also maintained their old English-style lawns and gardens. 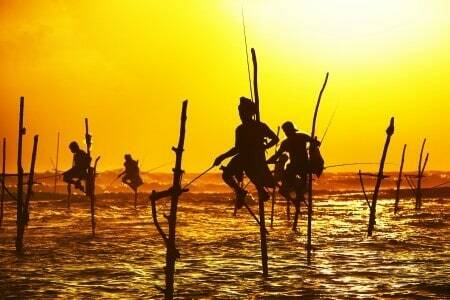 The town wakes up with many activities in April for the Sinhalese and Tamil New year. Main allure during April season include the motor and horse racing events. Checking to the hotel. Overnight stay at Nuwara Eliya. Pack breakfast from the hotel and proceed to Horton Plains. (30km – 1 Hour 30 Mins). HORTON PLAINS NATIONAL PARK – (32 km) from Nuwara Eliya via Ambewela and Pattipola, is the Horton Plains only 3160 hectares in extent. Known to Sri Lankans as Mahaeliya, it became Horton Plains after Sir Robert Horton, British Governor from 1831- 1837.Horton Plains became a Nature Reserve in 1969 and upgraded as a National Park in 1988 due to its unique watershed and bio-diversity values of the “Cloud Forest Reserve”. Its flora has high level of endemism. The hills are covered with diverse wet low evergreen forest with even large trees grown flattened to the ground on the higher windswept slopes. Horton Plains harbours 52 species of resident birds and 11 species of migrant birds. More than 2,000 to 3,000 Sambhur, Bear Monkey, Leopard, Barking Deer, Giant Squirrel, Fishing Cat, Wild Boar and Hares roam in the forests and grasslands but only seldom they could be seen other than the Sambhur in the evening and morning.. Two escarpments- “World’s End” and “Little World’s End” falling from the Horton Plains 1000 feet and 3000 feet respectively, to the land below and the Baker’s Falls are places you should visit. This is the only National Park where visitors could walk on their own on the designated tracks. Drop Off to Pattipola Railway Station. Train Journey from Pattipola to Ella (approx. 2 Hrs) – Observation Class. Pick up from Ella station. Check in to the hotel. Overnight stay at Ella. Breakfast at the hotel. Trek to the Mini Adam’s peak Ella.This beautiful short walk up to the top of Little Adam’s Peak, would take about 45 minutes from the main road. The road is flat and wide and when you climb half way through the walk you would come across some concrete steps about 200-250 and these steps would take you to the top of the mountain where you can get a panoramic view of the southern coastal belt and on a clear day you may be able to see the ocean. The average day time temperature is between 23°- 27°. Proceed to Yala. Check in to the hotel. Overnight stay at Kataragama. 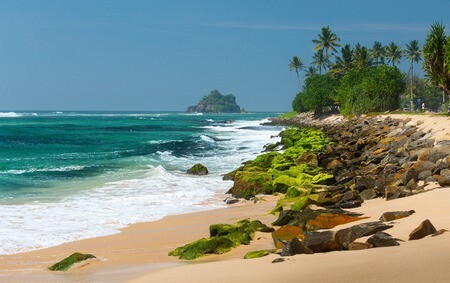 Pack breakfast from the hotel and proceed to Mirissa . (20 Km- 45 Mins) Proceed to do Whale Watching. Driver will pick up the clients at 5.00 am. The Whale Watching includes Snack packet & refreshments. 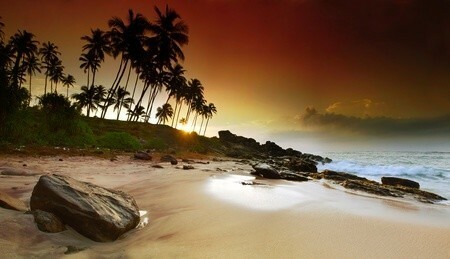 Sri Lanka is renowned as the major destination for Whale and Dolphin watching. Sri Lanka is one of best places in the world to see Blue whales and it is also renowned in the world as the best place to see Blue Whales and Sperm Whales on the same sailing. You will have a close encounter with the largest animal ever to roam the planet, the Blue Whale, seen in high concentrations not seen elsewhere in the world. Blue whale is the largest animal to roam the planet. It is up to 100 feet long and weighing over 200 tons. The secret behind the gigantic size of this animal is its meal—4 tons of tiny shrimps like animals called Krill. Blue Whales swim in almost all the world’s oceans. And They reach near equator waters in the winter. Most of the times they can be seen either alone or in pairs. 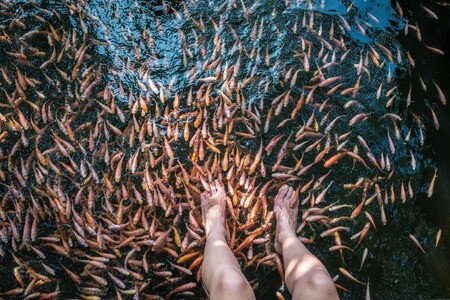 But occasionally swim with small groups. Back to the hotel. .(20 Km- 45 Mins). Overnight stay at Ahangama. Breakfast at the hotel. Do boat ride on Madu Ganga (River) – Optional (60 Km -1 hour 10 mins). A perfect creation of nature surrounded by greenery and undisturbed natural habitat, 80km south from the city of Colombo in Balapitiya is the Madu River. The Madu Ganga as it is locally known is a lagoon with 64 small islands which holds ancient monasteries and ruins surrounded by pristine mangrove. A boat ride is a must in Madu River to experience the beauty of nature and to see the wild animals and birds in their natural habitat. The boat ride will take you through mangrove tunnels to explore the wetland and help you experience the magic of nature. Proceed to Colombo. 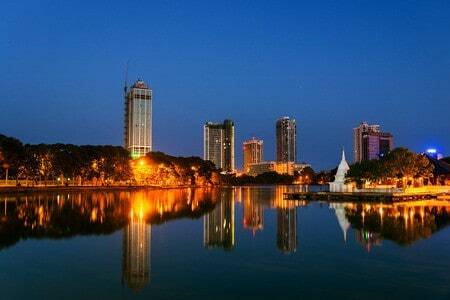 Do a city tour in Colombo with shopping. – Optional (110 Km- 2 hours 30 mins). Colombo – a drive through the city taking you to the busy commercial areas as well as the tree-lined residential, Cinnamon Gardens. Visit Fort, the former British administrative center and military garrison, Sea Street – the Goldsmith’s quarters in the heart of Pettah, the Bazaar area, where is also a Hindu Temple with elaborate stone carvings and the Dutch Church of Wolfendhal dating back to 1749. The historic Dawatagaha Mosque and the former Eye Hospital are two buildings in Cinnamon Gardens worth looking at. Also visit the BMICH, see the replica of Avukana Buddha and the Independence Square. TREK TO THE MINI ADAM’S PEAK ELLA. You will organise your own travel to and from Negambo. Tim has devoted his life to photography. Photography has been his long-held hobby and great passion. Tim has always felt himself drawn to the power and beauty he finds in nature. Tim has been leading photo tours and workshops in Iceland and many different countries over the years. He has had the world as his workplace. He is Photographing everything from the dramatic landscape in Iceland, to the native people in the remote corners of the world and the culture that are unique to each country. His journeys have taken him around the world in pursuit of memorable travel experiences and the creation of compelling images. His work has been featured in international publications. His images and stories are shared on various internet outlets. 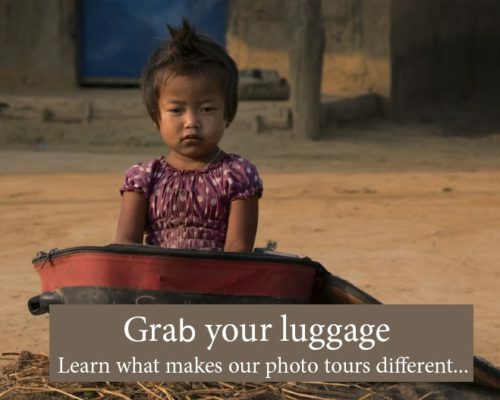 As a driven artist, professional, entrepreneur and an adventurer, Tim is eager to share his passion, knowledge in photography and travel through the tours he designed on his own, or through his partnership with professional photographers from around the globe. Tim and his family lived 11 years in Iceland. Now they are based in Czech Republic.